Client: Ping An Trust Co., Ltd. The client was the investment arm of an insurance company in China, holding assets, including highways, railroads, wind turbines, coal works etc. Whilst China’s dry bulk terminals have prospered in recent years, the client sought a comprehensive market assessment of these terminals, comparing the case study findings from eight domestic terminals with seven comparable terminals abroad. The objective of this study was to provide a detailed and impartial assessment of the China dry bulk terminal industry to assist the client with potential industry investment decisions. Review eight of China’s dry bulk terminals against key operational and management parameters. Analyse the financial aspects of bulk terminal operation including capex, opex, tax and government charges. Compare findings against dry bulk terminals worldwide and their key success factors. Provide an investment outlook and investment criteria. The project team carried out field visits to conduct interviews with the local port authorities, terminal operators, shipping lines, port agents, freight forwarders and other industry contacts. This was followed by desktop research with both local market team members and sector specialists covering other regions in the world. A comprehensive overview of dry bulk terminal operations across the major dry bulk commodities, analysis of historical volumes, future handling requirements, operating cost breakdown and main revenue sources. A review of China’s trade in dry bulk commodities covering trading volume, transportation routes, port handling volumes, supply-demand of port capacity and market outlook. The client was very satisfied with this comprehensive study, which not only provided a clearer understanding of China’s dry bulk terminals but also the investment criteria used by potential new market entrants. Drewry was invited to present their findings to the board of directors of PA.
"We were very satisfied with the research project undertaken by Drewry. 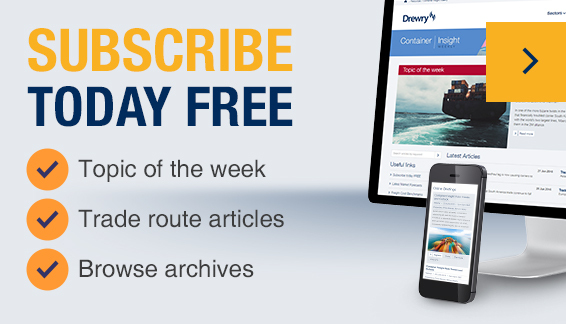 The hard work, enthusiasm and professionalism of the Drewry team deeply impressed us."